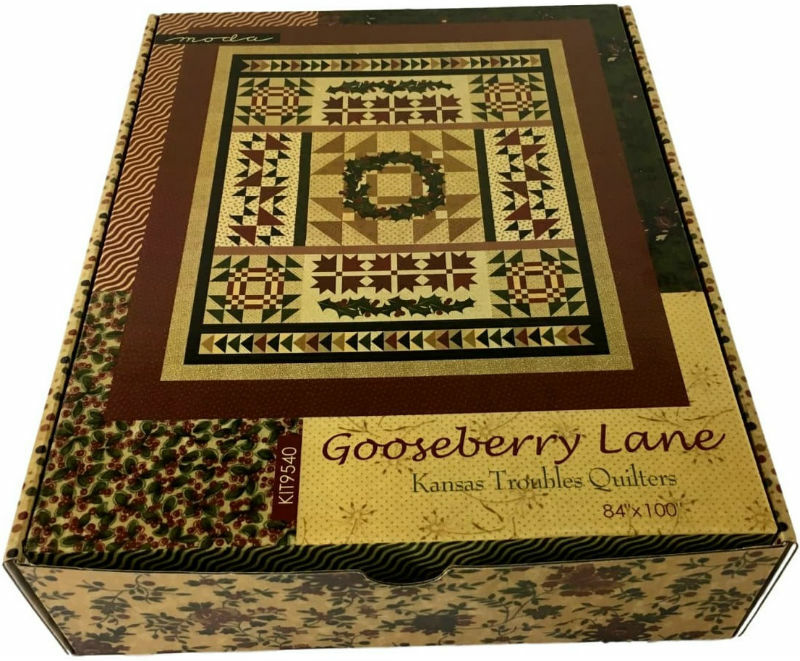 Moda Gooseberry Lane Kit KIT9540. This spectacular quilt features fabric from the Gooseberry Lane collection by Kansas Troubles Quilters. It is designed by Kansas Troubles and manufactured and packaged by Moda. The kit includes the fabric for the top, borders and binding. 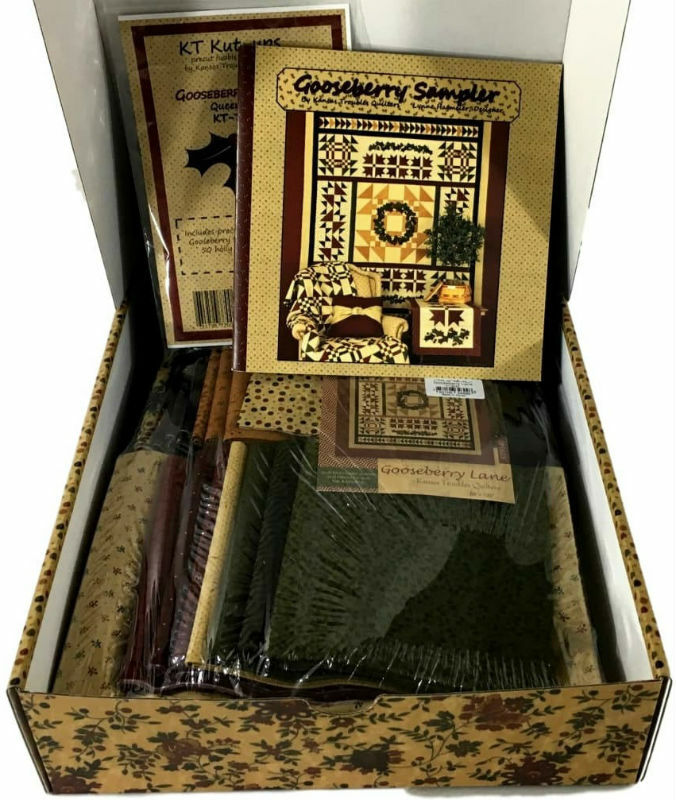 Additionally, a package of Gooseberry Sampler Kut-Ups is included to help really speed up your applique process. These are pre-cut fused applique pieces for the 50 holly leaves and 60 berries. 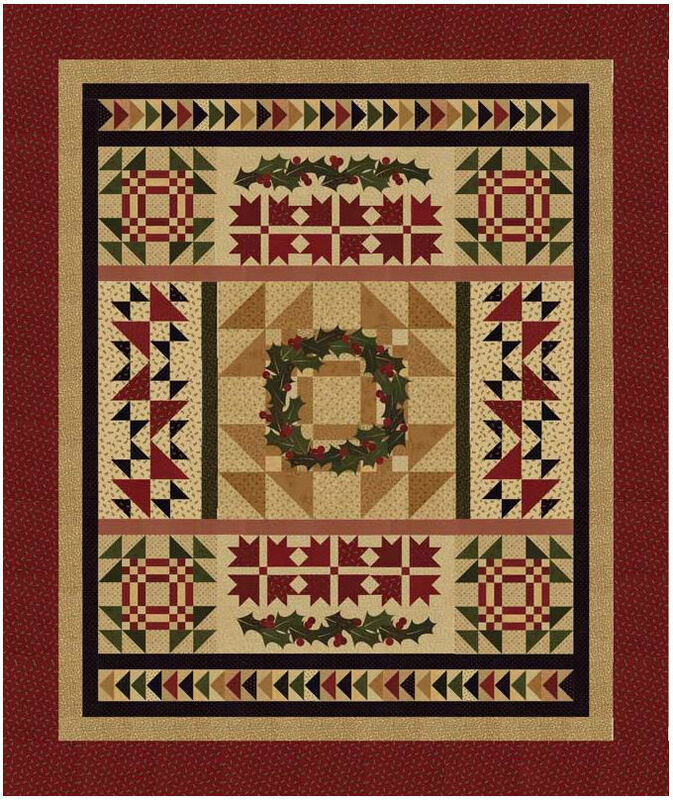 The booklet with the pattern also includes 3 bonus projects (an additional lap quilt, a wall quilt and a runner). Batting and backing are not included. 7 3/4 yards fabric (42 inches wide) or 3 yards (108 inches wide) needed for backing, are sold separately. 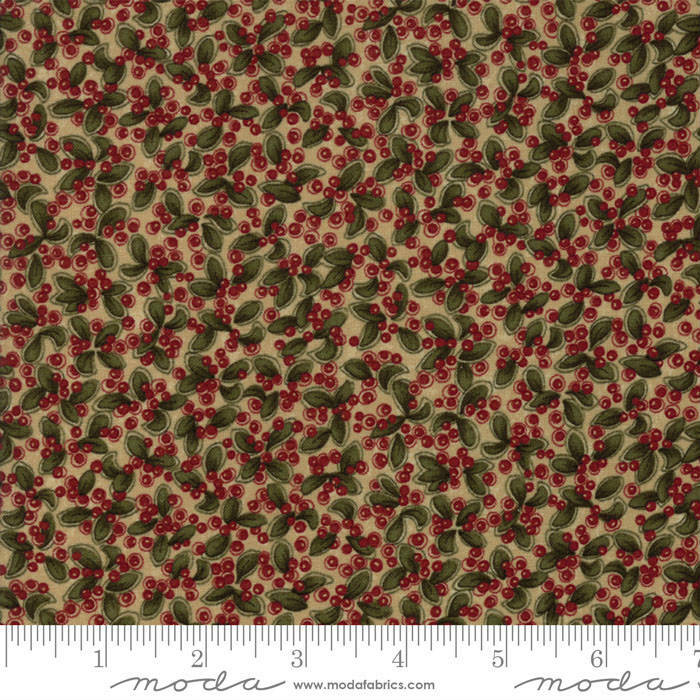 Recommended backing fabrics are 9540-11 Tan, 9541-11 Tan, or 9544-11 Multi, all from the Gooseberry Lane Collection. Finished size is 84 inches by 100 inches.